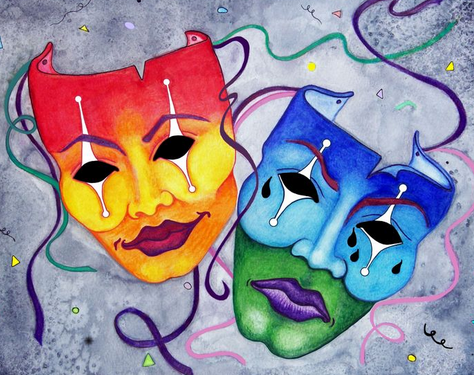 The All in a Day Play Festival sponsored by Dreamwell Theatre and City Circle Theatre Company of Coralville will be performed Saturday, January 26 at the Coralville Center for the Performing Arts. This is the eighth time these two theatre companies have joined forces to sponsor this award-winning event to create and present six, 10-minute plays in just 24 hours. On Friday evening, January 25th, six writers, six directors, and 30 actors will come together to create six original plays. Writers are randomly assigned a location, a genre, and one other dramatic detail to include in their scripts. Writers, actors, and directors brainstorm ideas and then the writers leave to create ten-minute plays by Saturday morning when the actors and directors receive the play. The six original plays will be performed on Saturday, January 26 at 7:30 pm at the Coralville Center for the Performing Arts—24 hours after the start of the festival. Plays and performances are adjudicated and awards will be presented for performances, plays and directors. Tickets to the Saturday night performance are $15 and can be purchased at the door. Seating is general admission. Tickets can also be purchased in advance at coralvillearts.org or by calling 319.248.9370 or in person at the CCPA box office at 1301 5th Street and at the Coralville Recreation Center at 1506 8th Street. Read the Little Village Review of Marjorie Prime!